“How to Drive a Car” is a teaching application for those who want to learn how to drive. 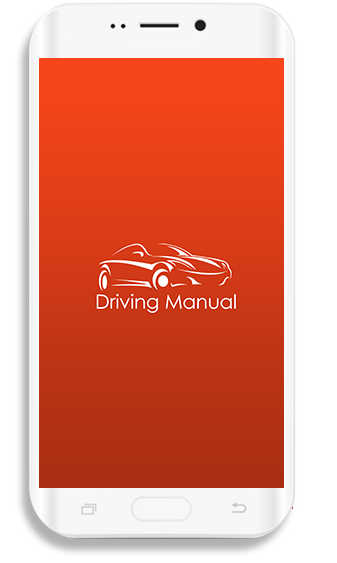 This app offers them a proper tutorial which helps them in learning each and every step of driving. It gives a totally unique experience of driving a car in your own style which you choose. This style can be safe and calm for driving the traffic, or it can be furious racing extreme. This application helps you learn to drive in barrels through the streets which are packed with traffic and parking garages. It gives you the opportunity to drive the car in the cockpit view or wherever you want in any drive mode. This app promises to make you a perfect driver. 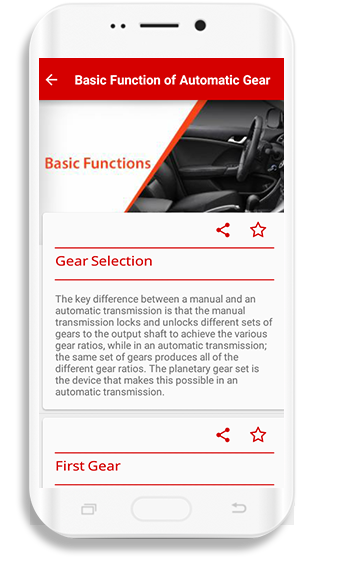 This app contains a complete guideline of auto transmission car such as the basic function of automatic gear, gear naming, and starting a car. 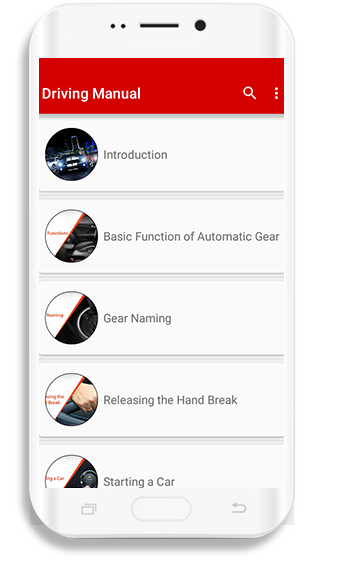 It contains a full description of manual transmission and demonstration of three mistakes to avoid the manual transmission repairs. It provides all the signs used while driving with clear symbols and usage which helps you learn how to follow them while driving.